Transforming Cities provided seed funding for groups to develop research collaborations focussed on urban social research, housing research, and urban research. This project developed a programme of research on the relationships between rental housing and children’s health and wellbeing. Children’s housing experiences in social and private rental housing are not well understood. We explored the health effects of the quality of housing and the drivers for household crowding to inform policies related to rental housing. 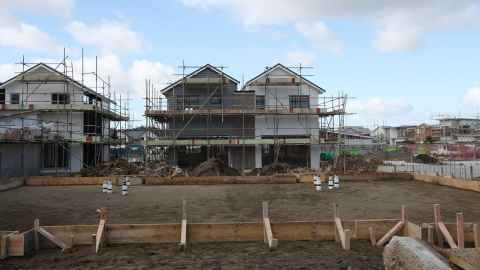 The project commenced with the preparation of reports on children’s housing experiences in South Auckland, Porirua and Christchurch, based on data from Housing NZ’s ‘Housing Pathways’ longitudinal study. This informed the development of a wider research programme on children in rental housing for which external funding was sought. The project created a new partnership between Housing NZ and academic staff in three faculties of the University of Auckland. The goal of this research was to investigate the potential of high value manufacturing technologies (e.g., CNC routers, 3D printers) to develop new techniques for 'design to delivery' of new buildings and the renovation and adaptation of existing buildings. How can high quality and accurate automated fabrication deliver higher building performance regarding energy efficiency, material durability and earthquake resilience? Automated fabrication can deliver low-cost kits. How can this method harness social capital and emerging sharing and DIY phenomenon? How will it redefine the urban environment and the design to delivery process? This seeding project facilitated a think-tank on housing for vulnerable populations in New Zealand. It brought together an interdisciplinary network of interested stakeholders to workshop what provision currently exists for vulnerable groups, identify examples of best-practice approaches, and areas in need of further research. The research involved cross-Faculty collaboration between the Centre for Mental Health Research, the Centre for Addictions Research and the Centre for Child and Family Research. The workshops enabled nation-wide networking on the topic and assisted the University-based team to identify future studies grounded in the needs of vulnerable populations. Cities around the world are responding to large-scale shifts in food politics. While modern cities are regarded as places where most food consumption occurs, cities are increasingly sites where new practices of food politics are enacted. From the development of Food Policy Councils, to the flourishing community garden movements, these new food politics are rooted in social, ethical, and environmental concerns resulting from a resistance to the global agricultural model of food production and consumption. There is a global interest in understanding, developing, and extending these alternative food networks. Within Auckland, alternative food networks are beginning to become established through Council and local grassroots initiatives. This project aimed to establish a network of researchers and practitioners who are involved in both the investigation and production of alternatives to global agriculture. We hosted workshops to build these networks in an effort to establish Auckland as a case study for further research into alternatives to global agriculture, the possibilities of urban agriculture, and Auckland’s food futures. This project investigated the university as a microcosm, test case and demonstration of a liveable city (Universitas 21 Statement on Sustainability). In the context of Auckland City’s Learning Quarter and Auckland Plans, we consider the university’s potential to be socially responsible, pro-creative and sustainable, and thus liveable. Our working assumption is that engagement, equity and access are prerequisite to the university and must be reflected in its form as much as in its processes. Liveability thus addresses the university as ecology, that is, as an intelligent system that works – or ought to work – for the flourishing of people and the nourishing of place. This project aimed to examine what is unique about Pacific climate change migrants; what are the key gender issues faced; and, how planning and policy should respond accordingly. Issues of social infrastructure and housing, land and livelihoods, traditional and urban food sources, citizenship and sovereignty, and gender, will be of focus. There is currently a lack of knowledge about how host countries and cities can respond to climate migrants and what their specific needs are. We aim to develop policy and planning frameworks that address intersecting issues of gendered well-being, settlement and rights and create sustainable solutions to post-migration settlement. This research aimed to form the basis of a future application to the Worldwide Universities Network (WUN). Urban waterfronts in most parts of the world are changing at an unprecedented pace. This project examined the morphological process and dynamics of the waterfront landscape in central Auckland. Drawing on the previous research and practice, it aimed to contribute to the search for sustainable waterfront regeneration in the context of neo-liberal planning. Although ‘the labour market’ is often conceptualised as a singular artefact, commute-to-work data provides an alternative basis for understanding the spatial relationships between where people live and work, and for thinking about the characteristics of labour markets in a plural sense. This project responded to the dynamism of contemporary urban labour markets in the Auckland region. It aimed to generate new ways of thinking about the implementation of economic and social development initiatives utilising functional – rather than administrative – area boundaries. The project aimed to establish a highly skilled multi-disciplinary network of researchers from the University of Auckland and beyond. Imagining water sustainability developed interactive art-science installations and workshops for schools, connecting important research in water sustainability to specific Auckland communities. It explored qualitative research methods framed by an ecological paradigm focused on biotic rights. Central to this research was interactivity between academics and community members through processes of listening, sharing, imagining, dialoguing and participating. In the long term we aimed to develop innovative qualitative research methodologies and to tour the project to communities across Auckland. This project brought together ecologists and social scientists in a research collaboration that attempted to understand what value people place on trees and biodiversity in Auckland, given its impending transformation under the Unitary Plan. Specifically, we sought to understand why trees are protected to a greater extent in some suburbs of Auckland than others. This mixed method project explored the use of social media and other forms of information communication technologies by refugee and other diasporic communities who are at once both ‘connected/mobile and emplaced/embodied’. This information was used to map and assess the extent to which digital participation and networking supports and enhances social participation and social cohesion in urban settings.